What if Highlights magazine and Legends of the Hidden Temple had a baby and that baby married Supermarket Sweep? It would be an outrage, that’s what if. Babies can’t get married! 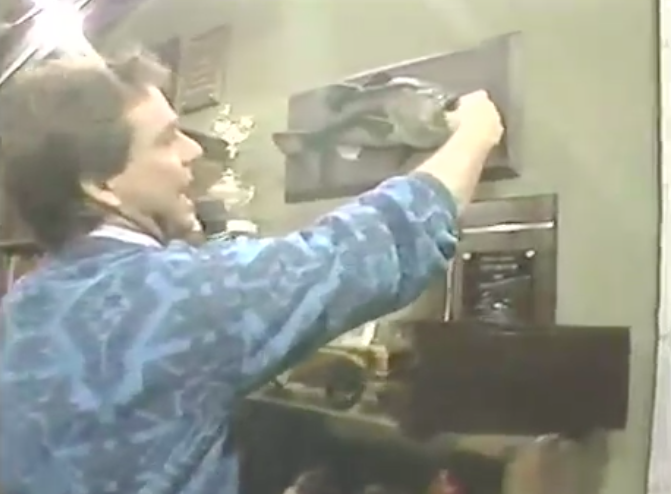 Nickelodeon had lightning in a bottle in the ’80s with their game shows – Double Dare, G.U.T.S., and the aforementioned Legends of the Hidden Temple were all really original ideas that celebrated being a kid. Finder’s Keepers was…kind of a mess. 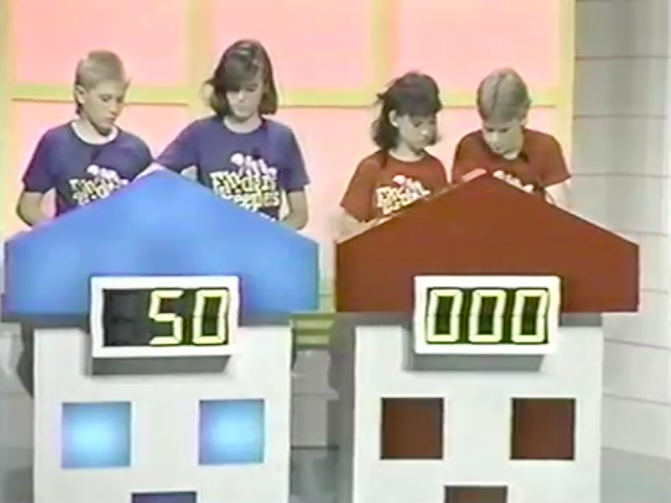 The show pitted two pairs of kids against each other in two rounds of hidden picture to earn the right to ransack rooms of a house in order to find a specific object. The objects were ridiculously hard to find, sometimes even for the host, and if one team failed the other team got points. This is what usually happened. The team that has the most points after two rounds, either by finding hidden pictures or by not-not-finding the hidden objects, gets to go to the final round. Here they go across the whole house with the added task of figuring out what object they need to find based on some really poorly crafted riddles. It’s a pretty good idea for a game show, but there are so many points where either a lack of skill or a lack of care on the showrunner’s part kept it from being a good game show. Still, I can’t imagine the kid audience in the ’80s being discerning enough to pick the show apart on these things. I sure wasn’t. Here’s an episode from 1988. Plus some great Nick bumpers. In pretty good quality, too! When you bought the Apple Newton, one of the first PDAs back in 1994, this video was included to show you how to use it. It’s a little dry and could be about ten minutes shorter, but there’s a lot to like about the cheesiness of it all. The music, the sedated narration, the fashion, and the very ’90s montages of people using this bulky obscenity in the real world contribute to make this a great snapshot of the realities and the aspirations 1994 technology. We wanted to be 2010 so badly! I don’t know if this 1958 print ad for Thorazine is supposed to make me as antsy as it does. Seems kind of counter to the message. This short PSA from the ’80s about how to use the motorway is probably the prettiest thing I’ve seen this week. Runner up. 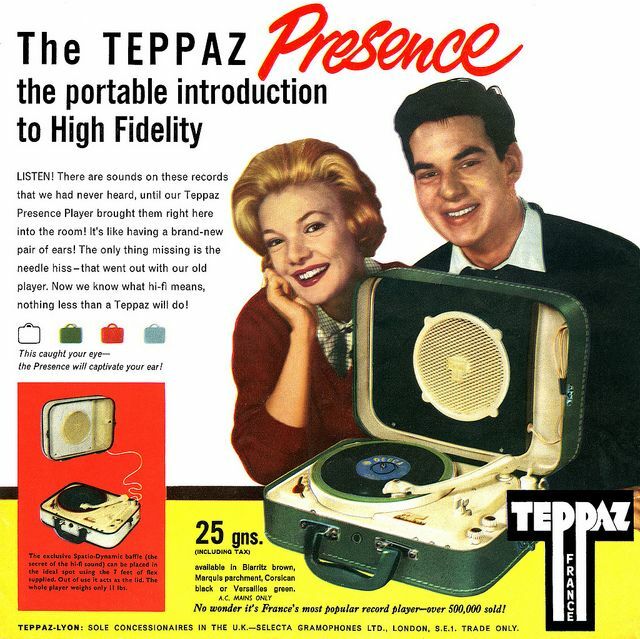 This vintage ad for the Teppaz Presence Player is pretty gorgeous, too.